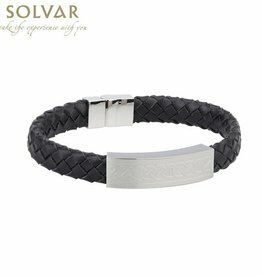 Solvar is recognized as a leader in the design and manufacture of Destination and Heritage Jewelry. 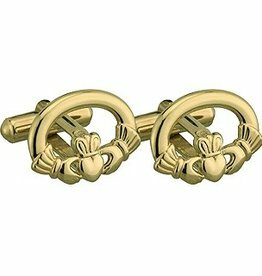 These Gold Plated Oval Claddagh Cuff Links measure 3/4" wide. They come boxed. Made in Ireland. 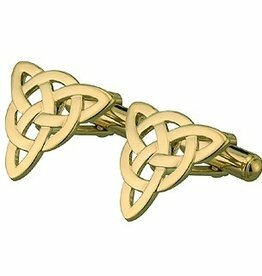 These Gold Plated Trinity Love Knot Cuff Links measure 3/4" wide. They come boxed. Made in Ireland. 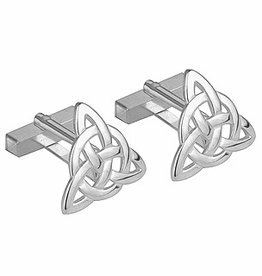 These Sterling Silver Trinity Cuff Links measure a wee bit over .5" wide. They come boxed. Made in Ireland. 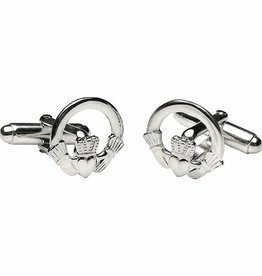 Timeless and charming, these Classic Claddagh Cufflinks represent Love, Loyalty and Friendship (heart crown hands). 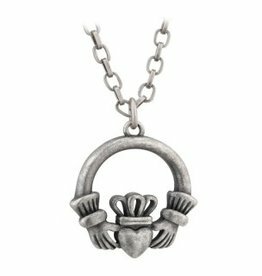 Celtic jewelry for the classic gentleman who appreciates the finer things in life. 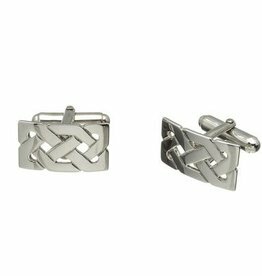 These celtic inspired cufflinks are sure to become a favorite for that man in your life! 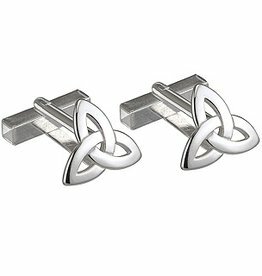 Rhodium-plated trinity knot cufflinks come nicely gift-boxed. 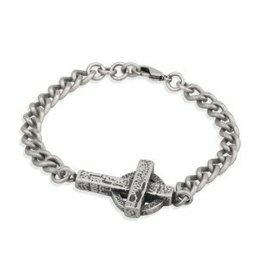 Unique and bold this unusual Irish Bracelet design with steel and leather is a handsome men's accessory. Measures 7.5 inch long. Comes in a presentation gift box.